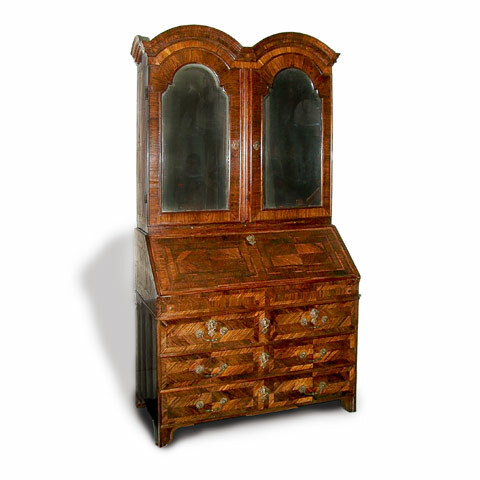 18th C - circa 1725 - Dutch kingwood secrétaire cabinet. Double dome bonnet. Elaborately outfitted with drawers and compartments. Original looking-glass.